MASKATEER Mens Gym Belt is an amazing product that really helps you with weight loss and faster results. This slim belt should be worn during weight lifting workouts as it acts like a portable sauna, by making you sweat more removing excess water weight and keeping your core temperature high, which assists in removing toxins from your body and burns fat faster. The powerlifting belt has 4 flexi steel bones which cushions and compresses your torso area providing amazing back support during powerlifting workouts, reduces the chance of weight lifting injury, and helps to maintain posture. 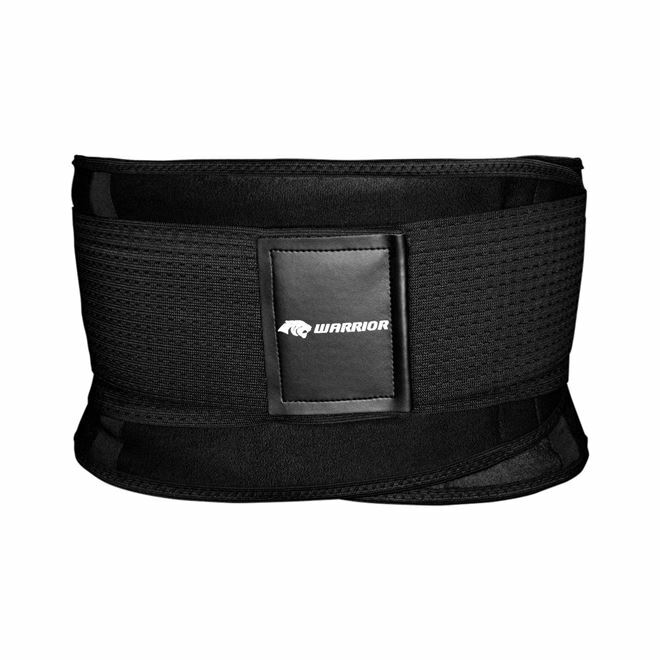 The ab belt is very comfortable to wear with a double layer of ultra-light net and is made from soft breathable elastic neoprene and has 2 strong mesh Velcro straps making it easy to put on. This gym belt is perfect for those who are active, regularly exercise but are looking to focus more on their torso area. Hi Gary, we are glad to hear that you have no complaints. We always try to deliver our products as fast as possible. Good luck with the waist training and let us know how you get on. Great belt, very easy to put on and off between different exercises. Gives my lower back really good support and is very easy to adjust. I would 100% recommend this belt to anyone with lower back issues. Hi Rehan, we are so glad to hear that our product is helping you with your back issues and thank you for you review. Pulled a muscle in my back and was in extreme pain. Pain killers weren’t doing the job. The belt really helped with compressing and reducing the pain and helped my muscles heal quickly. Live saver.